Ott Tanak holds a comfortable lead after Friday’s Wales Rally GB. He has near half a minute ahead of his title rival Thierry Neuville in Hyundai i20. Tanak reeled off a hat-trick of speed test wins this morning, building a near-10sec cushion that allowed for caution in the next two foggy and rain-soaked tests. He won two more this afternoon when the first three stages were repeated. Frequent surface changes and inconsistent grip in the constantly changing conditions left drivers struggling for confidence on the predominantly gravel roads, but improved afternoon weather played into Tänak’s hands. 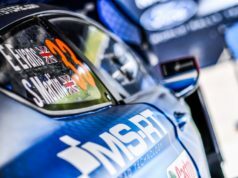 Elfyn Evans scored his maiden win here 12 months ago and was Tänak’s closest challenger until an engine misfire stopped his Ford Fiesta en route to the afternoon stages. 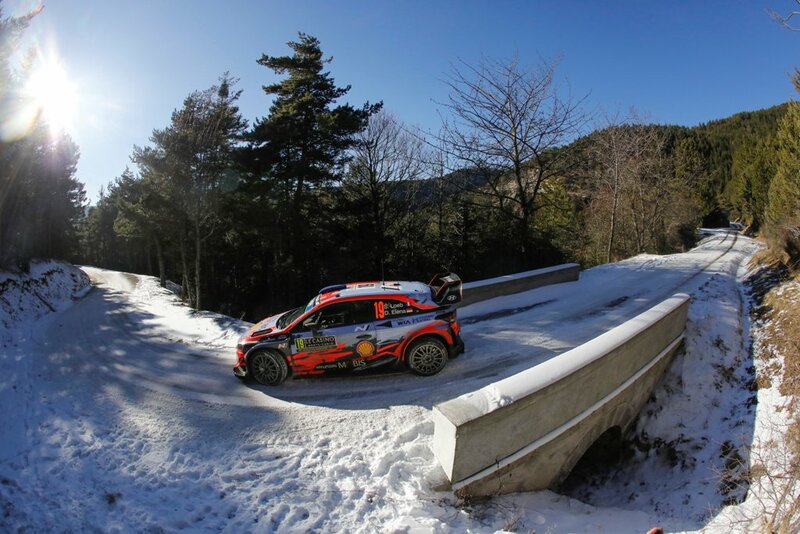 Neuville capitalised to take second after a frustrating start in his Hyundai i20. The Belgian’s car would not handle as he wished and he overshot a junction and hit a chicane before set-up changes did the trick and he climbed from fifth. 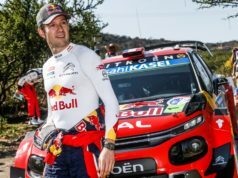 “Things are working better, we have improved the set-up but the stage conditions were getting better as well. The conditions were much better for the handling of our car. I couldn’t do more to be honest”, Neuville said. He headed a quartet of drivers covered by less than 10sec. Jari-Matti Latvala briefly held second in another Yaris, but ended 2.5sec behind Neuville after losing his rhythm in this afternoon’s long Brenig stage. 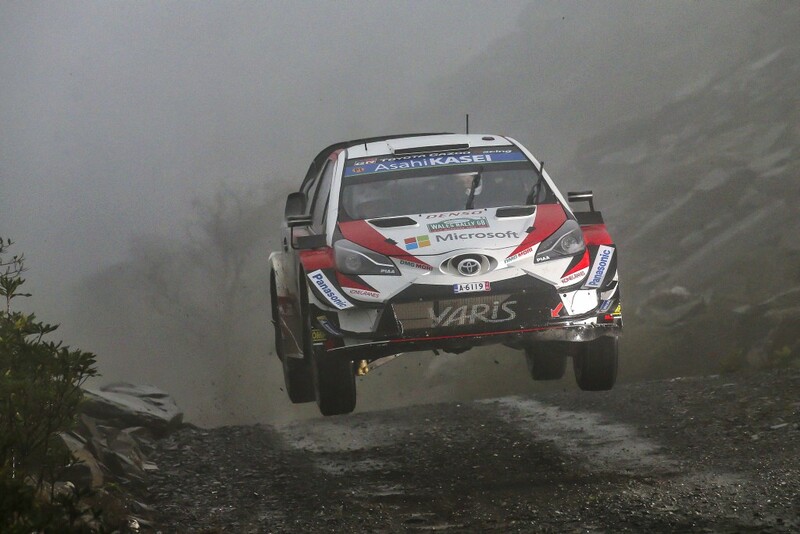 Esapekka Lappi recovered from an early spin to make it three Yaris cars in the top four. The Finn was 4.6sec adrift of his fellow countryman and 2.3sec clear of Ogier’s Fiesta. 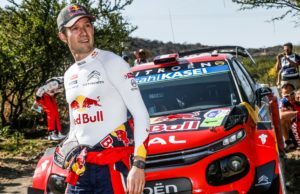 Ogier was third until first and second gears broke which, combined with two spins, relegated him to eighth before a late recovery. Craig Breen completed the top six in a Citroën C3. Hayden Paddon, Mads Ostberg, Andreas Mikkelsen and WRC 2 leader Kalle Rovanperä filled the leaderboard, all gaining a place following the last stage exit of Teemu Suninen. The Finn run as high as fourth and survived 2 spins. But there was no third time lucky when his Fiesta dived into a ditch after a heavy impact broke the suspension.